A Formula One car is a compact violent physics laboratory on four wheels. Each vehicle overflows with space age technology, engineering design, and exotic materials with the single objective of minimizing each and every lap time. High horsepower combines with minimal weight to hurl the car forward, ceramic brakes arrest progress impossibly deep into a corner, and sticky tires and suspension wizardry triggers direction changes in the blink of an eye. The human body demands conditioning and skills to cope with the forces resulting from this purpose-built machine. There are only a handful of Formula One constructors, each of which produces a small batch of cars each year. Each car is complicated and can be difficult to manage and maintain. 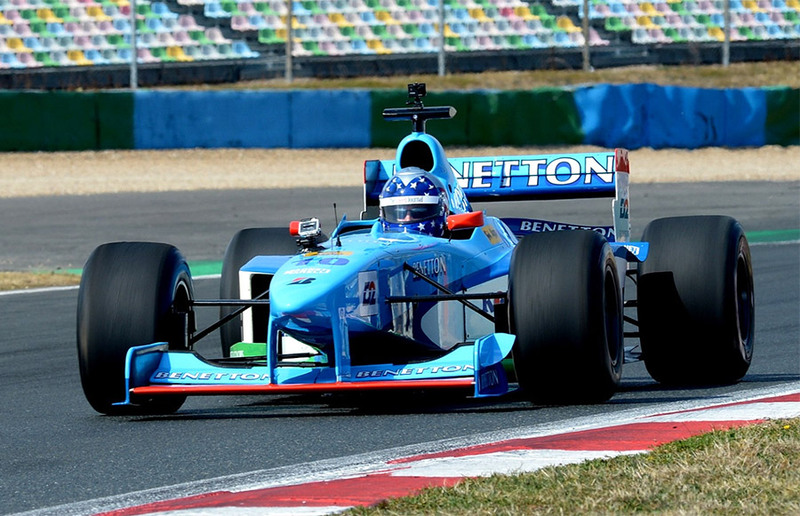 The consequence is that the opportunity to actually drive a Formula One car is rare. Many professional drivers never even get the chance. Even fewer spectators and enthusiasts ever sit behind the wheel. 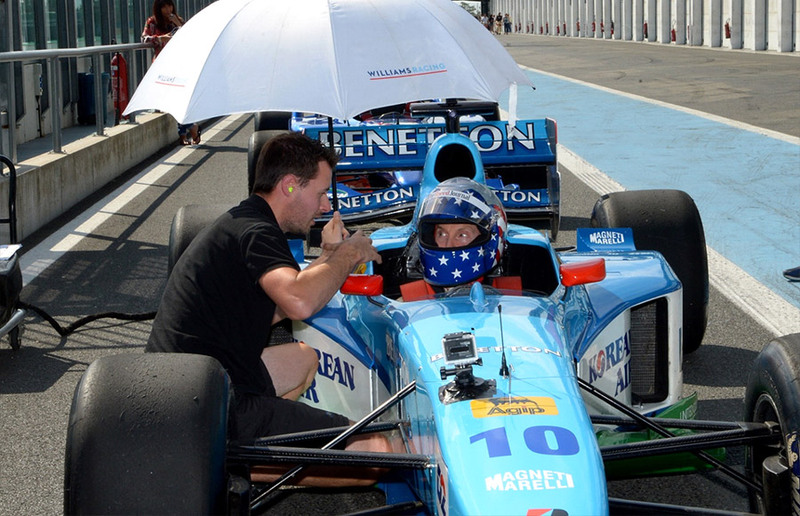 When The Speed Journal team learned of a program based at the Magny Cours track in central France specializing in making a Formula One driving experience possible, it was only a matter of time before logistics were in place and resident driver Jeff Francis was dispatched for the adventure. 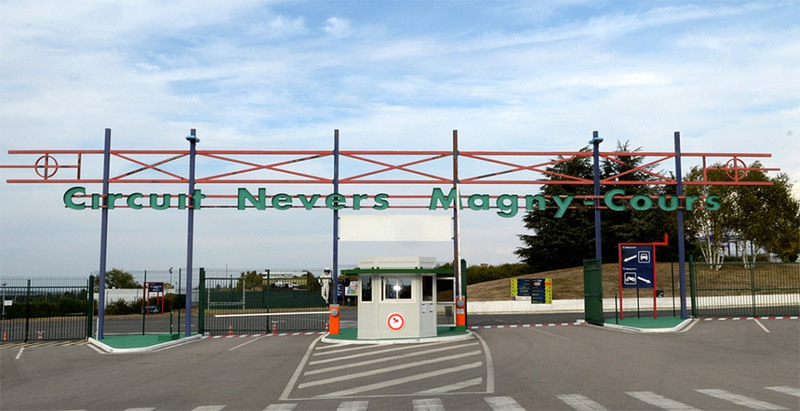 Magny Cours hosted the French round of the Formula One calendar from 1991 to 2008. At just over 2.7 miles in length, the ultimate track record during a race was set in 2004 by Michael Schumacher in his Ferrari Formula One car at just over 75 seconds. While there would be no threat to Herr Schumacher’s record, Francis’ hosts at LRS Formula gave him the unique opportunity to drive a Formula One car at speed. 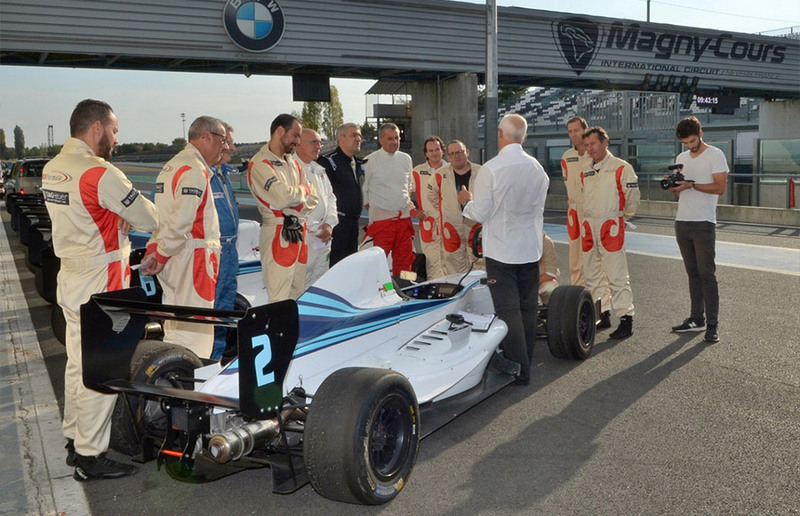 A day at Magny Cours with the LRS Formula team is unquestionably an experience rather than a technical coaching exercise. Instructors were on hand to provide oversight and operating instructions, but this is neither a racing school nor a driving school. The objective is to get guests comfortable in the machinery and then cut them loose for track time. LRS staff was instrumental in making advance arrangements and providing a warm welcome upon arrival in the morning under sunny blue skies. Guests are welcome to bring their own kit or borrow pieces from the equipment provided on-site. While Francis and several others brought their own helmets and/or suits, most made use of the full driving suit and helmet provided on site. 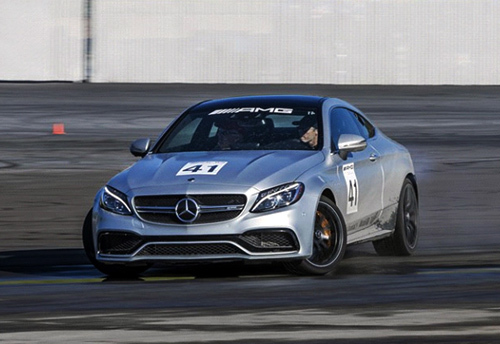 Donning full racing gear was another sign that this is no ordinary driving experience. Prior driving experience varied amongst the small group of participants. 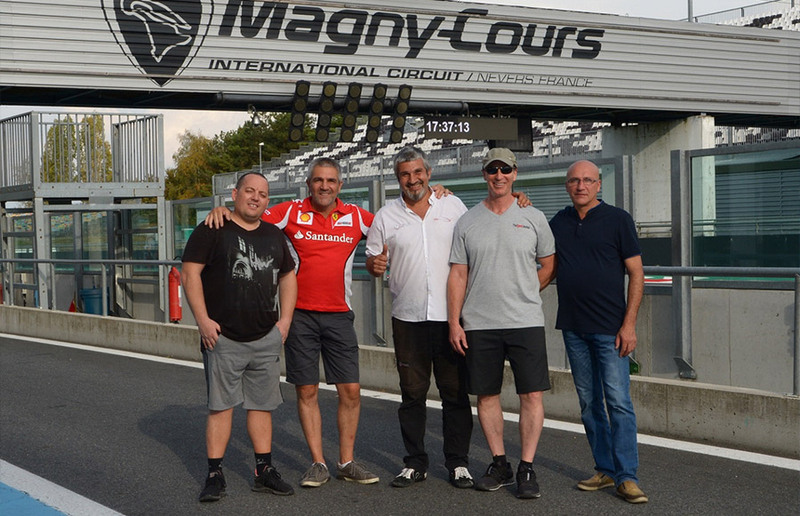 While everyone in the group had some degree of prior track experience, some had previously driven sportscars at Magny Cours to prepare for the experience whereas others were seeing the track for the first time. Taking prior experience and preferred language into account, the group was divided for some classroom briefing and then chauffeured in vans around the circuit for several sighting laps with tips and warnings before heading to pit lane where a line-up of identical white Formula Renault 2.0 cars lined up awaiting their drivers. 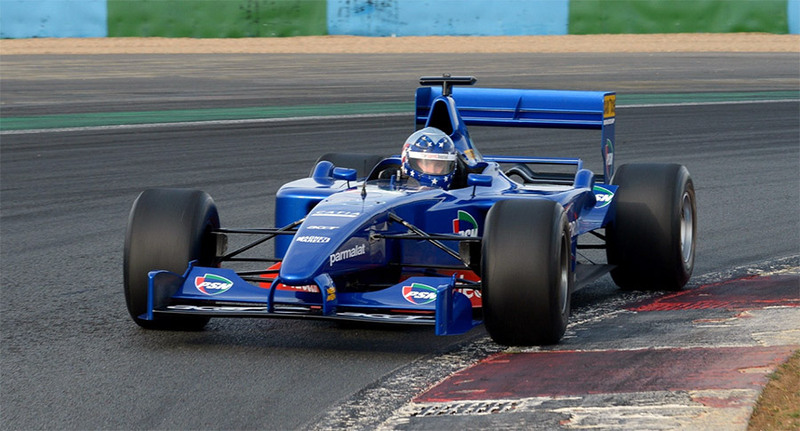 LRS Formula utilized Formula Renault 2.0 car to get guests comfortable in a very capable open-wheel race car before releasing them onto an open track in Formula One cars. 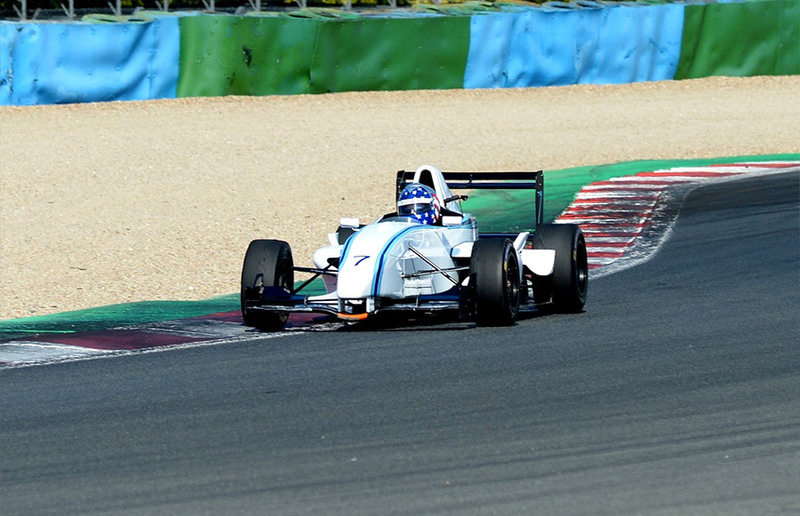 The Formula Renault 2.0 platform is an ideal platform for the task. Agile and responsive, it combines a Renault 2 liter 4-cylinder engine producing 200 horsepower, a 6-speed sequential paddle-shift transmission and an Italian Tatuus chassis tightly wrapped with aerodynamic carbon fiber bodywork shaped. It features no electronic nannies such as traction control or anti-lock brakes. The Formula Renault was a standard specification for several racing championships around Europe throughout the decade starting in the year 2000. The 2.0 evolution was introduced in 2010 and a 3.5 version came along in 2013. 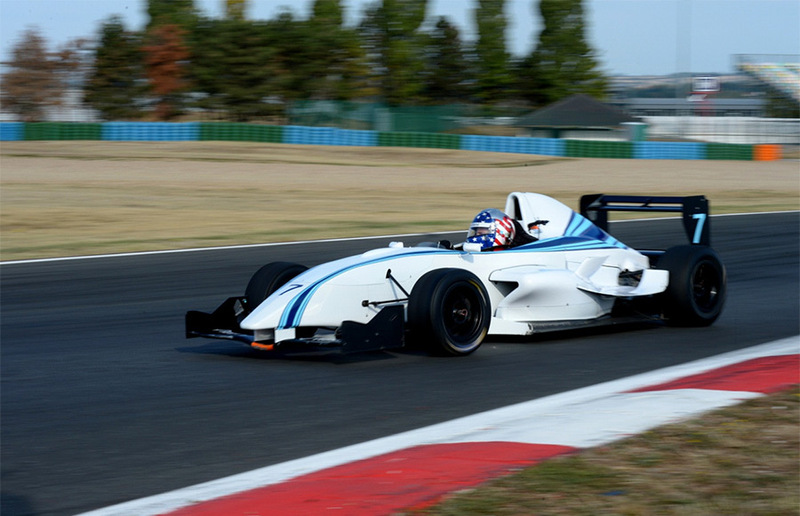 It was explicitly designed to be a cost-effective path for future Formula One drivers. Kimi Raikkonen most famously made the leap directly into a Formula One seat with Sauber after winning 13 out of 23 Formula Renault events in late 1999 and early 2000. Other well-known drivers also spent time in various Formula Renault series including Lewis Hamilton, Carlos Sainz, Sebastian Vettel, and Daniel Ricciardo. 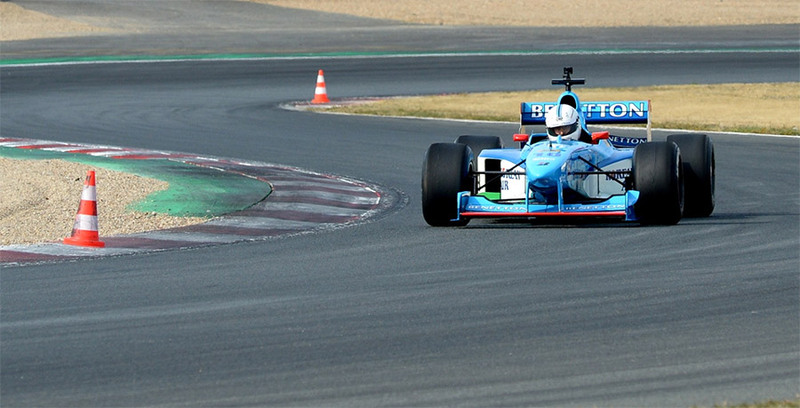 Max Verstappen tested in several Formula Renault cars during his quick ascent to a full Formula One ride. 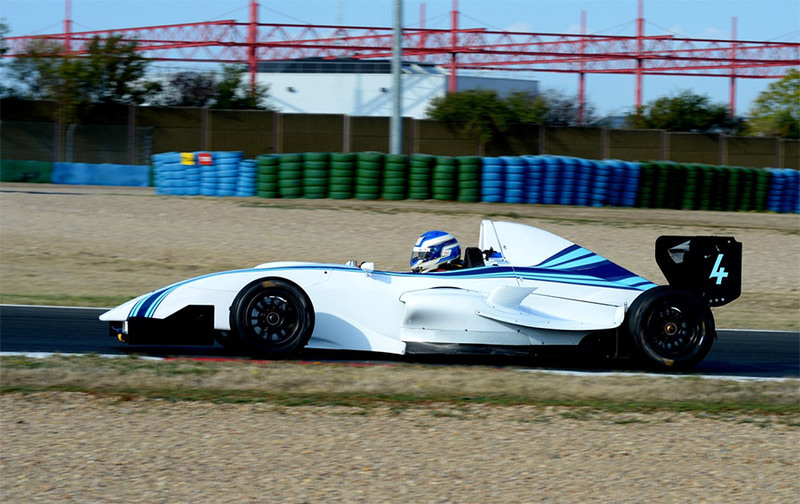 With those credentials, a morning flogging a Formula Renault was a perfect entry point. 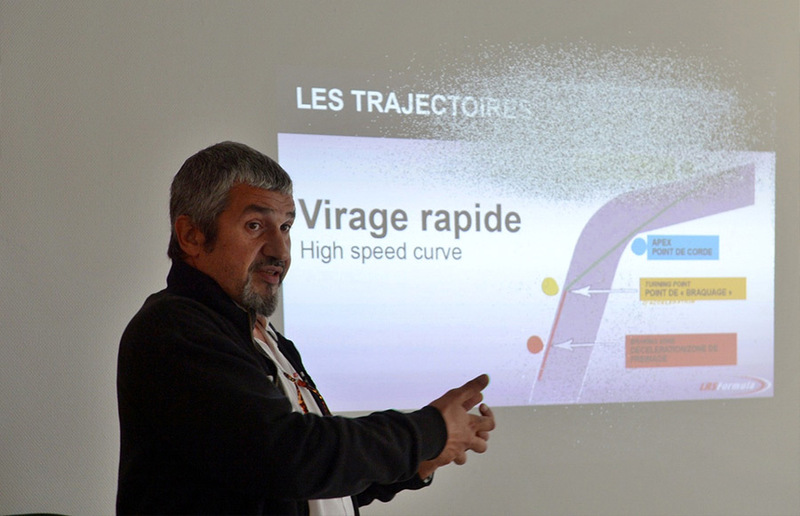 Instructors began by providing a guided tour of the Formula Renault and its controls. The pedals were intuitively placed, but invisible to the driver due to the closely formed black carbon fiber body work that surrounded the driver’s compartment. The driver was then wedged into the car and seated on the floor. There were no concessions for comfort and only a few rubber inserts available to adapt for different body shapes. One benefit of driving at the Magny Cours circuit is the wide turns and run off room. In the event of a spin, drivers were instructed to mash the brakes and wait for the car to come to a stop. The on-board starter could return them to action if the car stalled during the spin. Fortunately, this advice was not needed for Francis or his group, but others before them undoubtedly had overstepped the limits of grip. With the education out of the way, it was time to take to the track. Instructors looked on but there was no lead/follow or other gradual getting up to speed measures. With open lapping sessions, it was up to each driver to get comfortable, learn the car and the track, and search for speed in their own way. After releasing the clutch to get moving initially, it no longer had a role. The electronic instrument panel showed a digital gear display and shift lights as the revs of the engine rose. Shift without lift meant keeping the foot to the floor and clicking up through the gears with the seamless paddle shift. Corners required using the brakes before downshifting and setting the car up for the exit. A few laps at pace quickly brought the tires and brakes up to operating temperature. 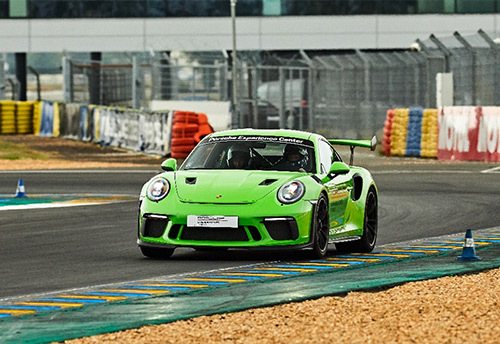 Helpful cones were placed at braking points, corner apex and corner exit to facilitate the learning curve, particularly for those drivers like Francis who were making their maiden visit to the Magny Cours circuit. 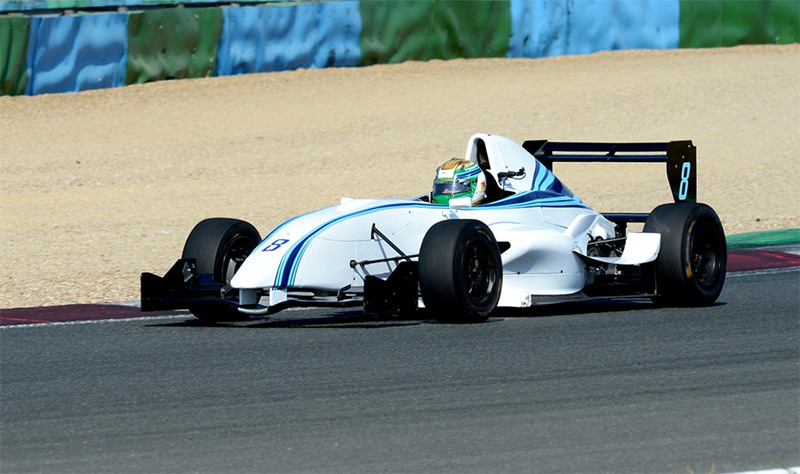 Francis utilized the first session getting acclimated to his #7 Formula Renault 2.0 and the track. Boyed by a successful first session, Francis hit the track for a second session with more confidence and decisive driving. Braking points were later, apex and exit speeds higher, and the smiles per mile grew. The laps weren’t running against a stopwatch or dicing for position in a competitive field but were memorable. With more track time, there was also a greater appreciation for those that can make use of the car’s full potential and operate much closer to the limit in search of tenths of seconds that are so elusive. 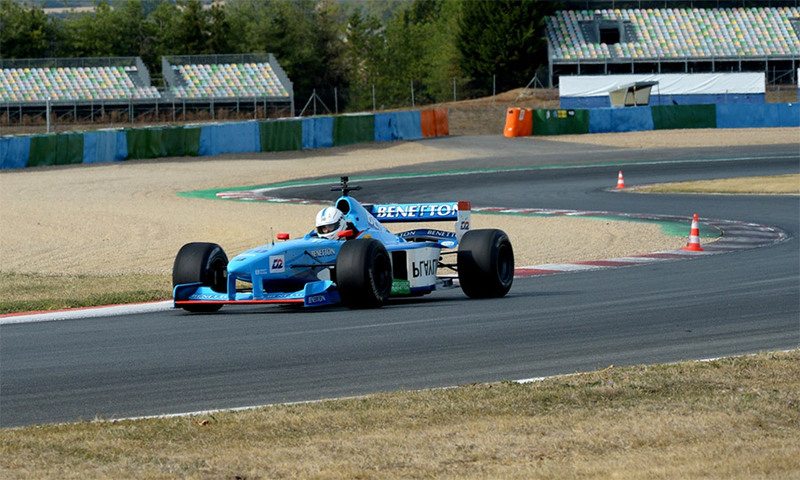 Running the Formula Renault all day would have been a marvelous experience by itself. With more track time, it would have been rewarding to learn more about the limits of the driver and the car. However, the main objective of preparing to drive a Formula One car had been met and a successful outing in the bigger sibling remained the goal of the day. A mid-day break provided a chance to let the adrenalin settle down and get a better look at the LRS Formula facility. 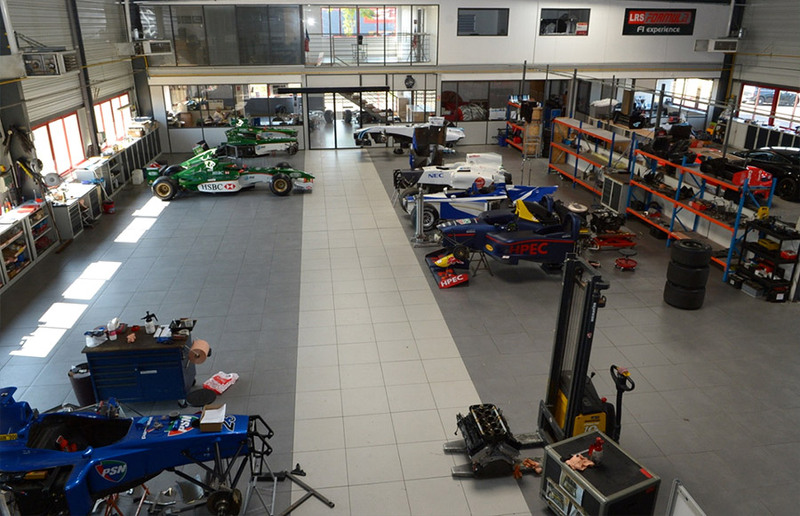 The full-service racing shop is located just outside the Magny Cours gates and the volume of easily recognizable Formula One cars in various states of readiness quickly indicated that this was no ordinary racing shop. A fleet of road cars bearing the badges of Porsche, Ferrari, Lamborghini and McLaren for LRS Formula driving experiences awaited their call to action. In another time or place, such cars would have been the star of the show, but they struggled to compete for eyeballs with Formula One machinery nearby. 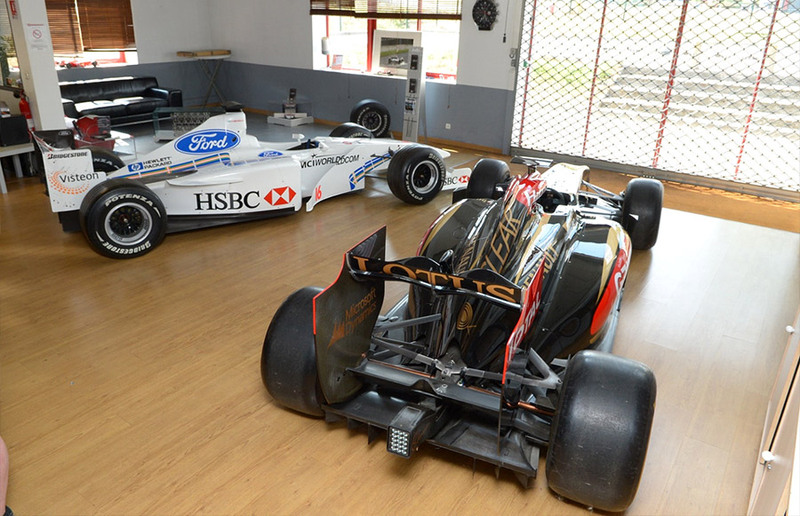 In a showroom, a complete white Stewart Grand Prix car with 1999 livery and adorned with Rubens Barrichello’s name sat next to a black and gold Team Lotus in 2013 livery with the names of Romain Grosjean and Kimi Raikkonen in red lettering. 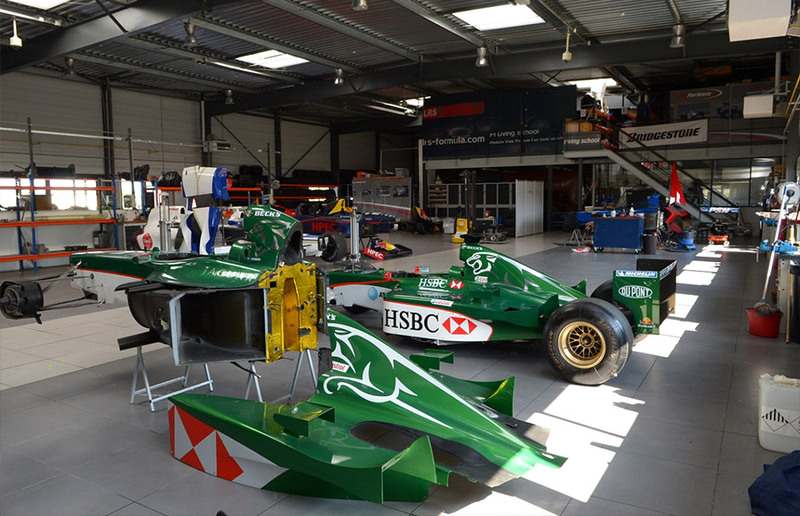 In the workshop, a pair of green 2001 Jaguar R2 examples sat next to each other – one in complete form and one in a full state of disassembly. 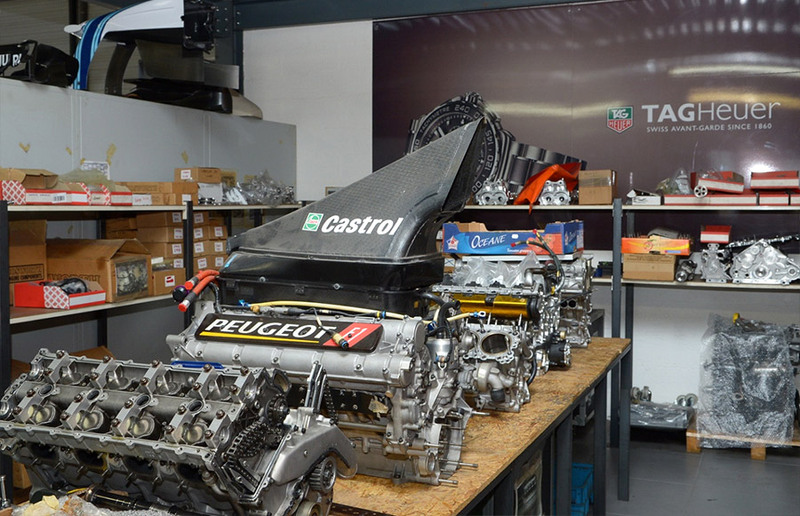 Peugeot F1 and Cosworth engines were in various states of rebuilding on a nearby workbench with surrounding shelves of other parts and spares. The entire facility was impressive. In a sport that is often known for super-secret technology and designs, walking around various Formula One cars with the benefit of full transparency and the LRS Formula staff to share interesting observations and answer questions was a great value-add for the day. Returning to the track, the group enjoyed a gourmet lunch at the on-site restaurant and relished the chance to compare notes with each other and hear stories from the instructors. A sense of anticipation for the afternoon festivities permeated the chatter and the time for action arrived soon enough. The program varied for each guest, as each could opt for more or fewer laps as part of their experience. Within the group, Francis was up first. 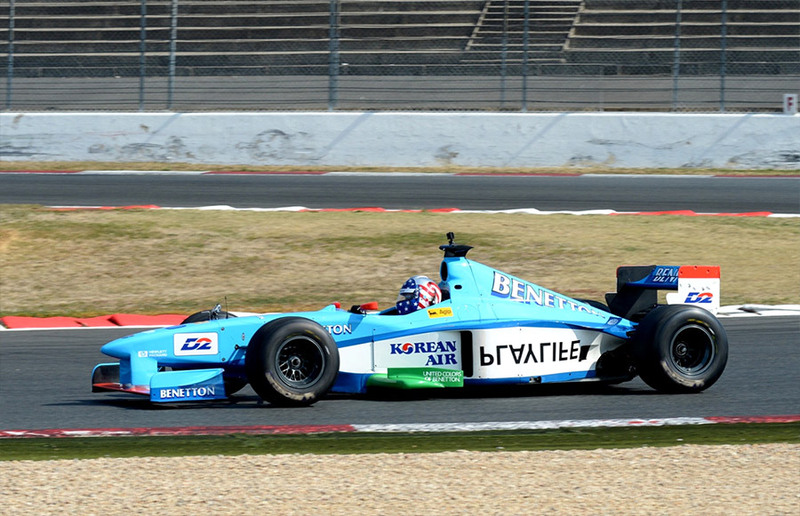 His mount was a 1998 Benetton B198 raced in period by Alexander Wurz and Giancarlo Fisichella. In fact, Fisichella used the car to claim pole position at the 1998 Austrian Grand Prix, but braking problems precluded a finish. Equipped with a V-10 Renault/Mechachrome engine in 1998, the car is now powered by a 600bhp 3.5-liter V-8 Cosworth powerplant. Francis recalls the feeling of approaching the car with helmet in hand. Everything was more pronounced than the Formula Renault 2.0 baby brother. The B198 had more aerodynamic features, big slick tires and more of a presence. After getting positioned in the car, he tried to think ahead about how to approach his laps. Driving a Formula One car requires walking a balance between respecting the car and controlling it. Being either too timid or too reckless will not work. With no on-board starter, the crew needed to fire up the beast with an external starter. Of course, that also meant that a spin and stall out on course would cause an embarrassing wait to be rescued since the car couldn’t be re-fired on its own. The highly sensitive accelerator required a gentle touch to avoid stalling or over-revving at the launch and the progressive clutch required a cautious release for 10 meters or so before the car rolled out into pit lane towards the track. The B198 featured an electronic dash with a digital gear display and shift lights to encourage upshifts at the proper points and intervene to avoid overrevs. 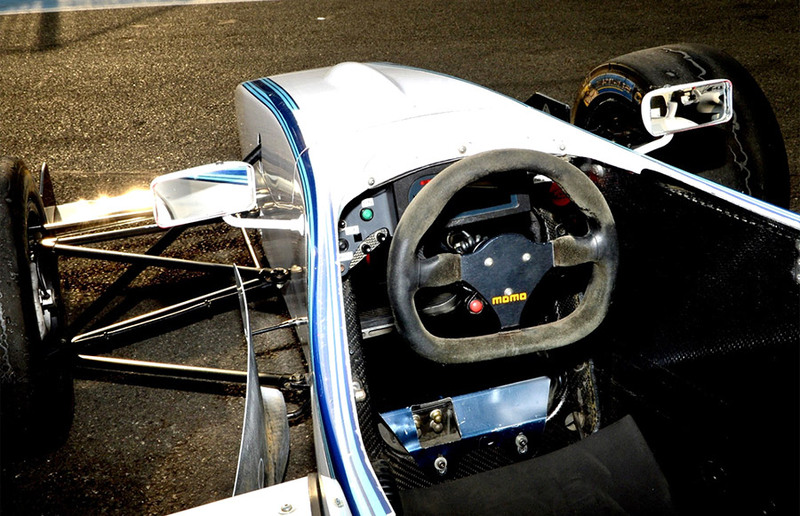 Like the Formula Renault, the driver pins the accelerator and uses the paddles to shift up through the gears without lifting. 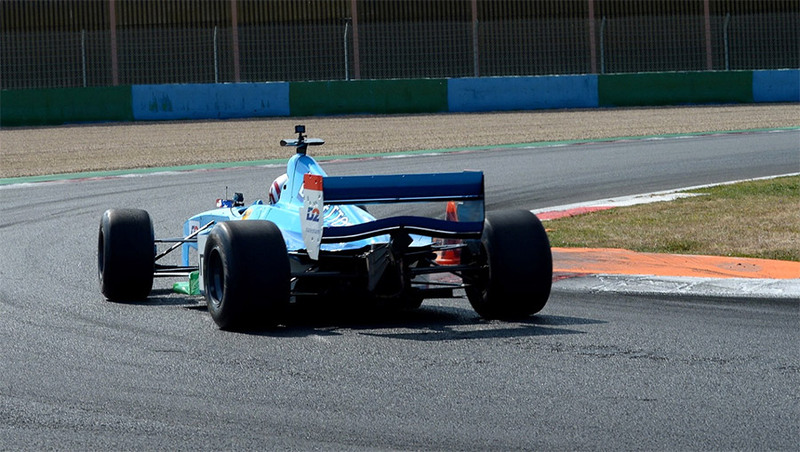 Tire size was one unique difference compared to the Formula Renault car. The staff warned that the rears were significantly larger than the fronts, so care was required when pointing the car through corners to avoid cutting the apex too closely. The brakes also required care, needing much more pedal pressure than the Formula Renault car but stopping much more quickly. Building proper temperature is the key for getting the tires and brakes into an operating window and it took two warm-up laps before letting the car off the leash. 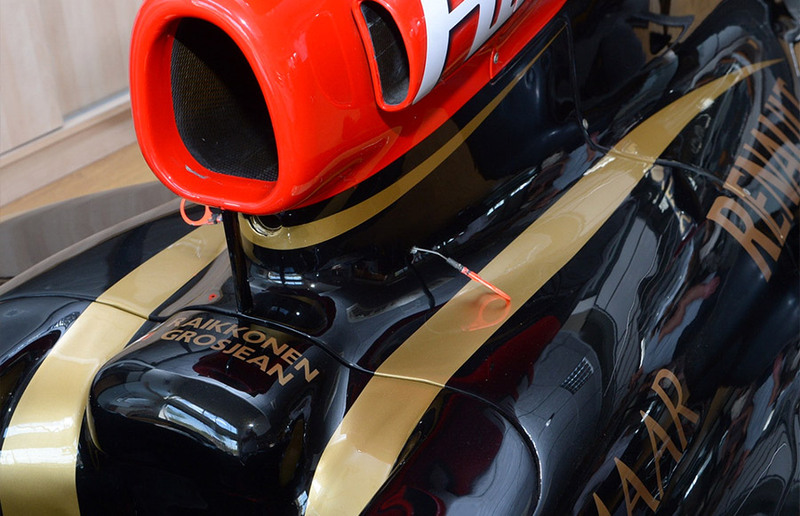 So, what was driving a Formula One car like? Visceral. Absolutely visceral. The acceleration was literally neck snapping. Get the car pointed in a straight line at corner exit, push the pedal to the floor, click the paddles through the upshifts without lifting and watch the straightaway shrink in seconds. The wind buffeted the cockpit and the wail of the V-8 just behind the driver’s head only added to the sensations. Estoril corner is a long right hander that leads to the long Golf straight which was long enough to get the car to full throttle through all six gears. Braking was just as abrupt. At the end of the long Golf straight, the slowest corner of the track looms in the form of the tight Adelaide hairpin. Cornering speeds are faster than anything else on four wheels, but the relative slow speed corner provided a visual delight of the front tires working hard, oscillating as they struggled for grip. The treat only lasted momentarily, as the corner unwound and the next straightaway required another full speed blast up through the gears to the delight of those looking on trackside. The B198 technical marvel had no warning labels and virtually no electronic nannies or saviors. The success or failure of each corner and each lap depended on the discretion of the pilot. In an age where so much is watered down and “sanitized for your protection,” driving the B198 was “use at your own risk” with accompanying positive and negative consequences. Everything about the car was more – more nimble, more acceleration, more braking, more grip, more speedy shifts up and down with the paddles through the gears, and more downforce. A few laps provided a taste but also made very clear that it takes a special talent and skill to push the car to its limits and win the battle with the stopwatch. It also is a reminder that even the slowest of the drivers at the back of a Formula One grid are still wrestling powerful beasts at the limits of physics. After each guest returned to the pits, heads spun but fortunately the cars never did. No issues, incidents, mishaps or mechanical issues made for a happy pit lane as guests compared notes and soaked in the atmosphere. A word of credit must be reserved for the LRS Formula team in terms of their preparation of the cars and their staff’s preparation of their guests. 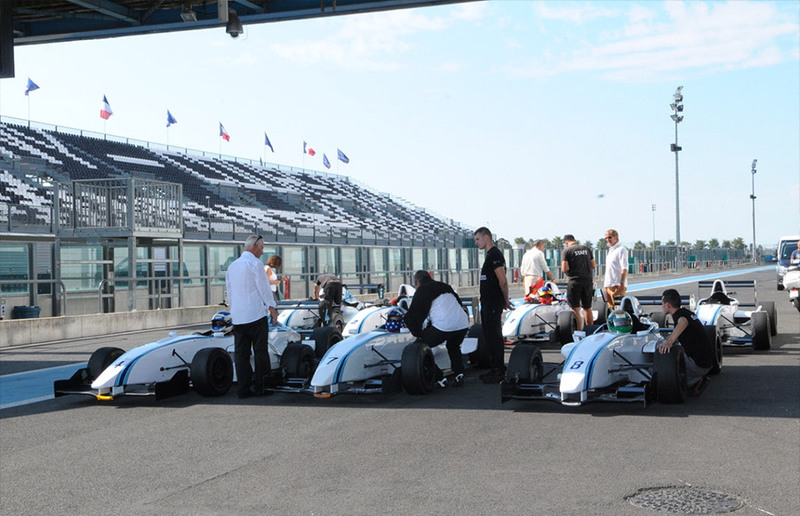 Between the various Formula Renault and Formula One lap sessions, LRS Formula hot shoes pedaled a customized three-seater Formula One around the track giving rides to those who purchased ride-along experiences. Two laps at speed is enough to make a memory and it was fun to see the wide-eyed expressions of passengers who just returned from their hot laps. 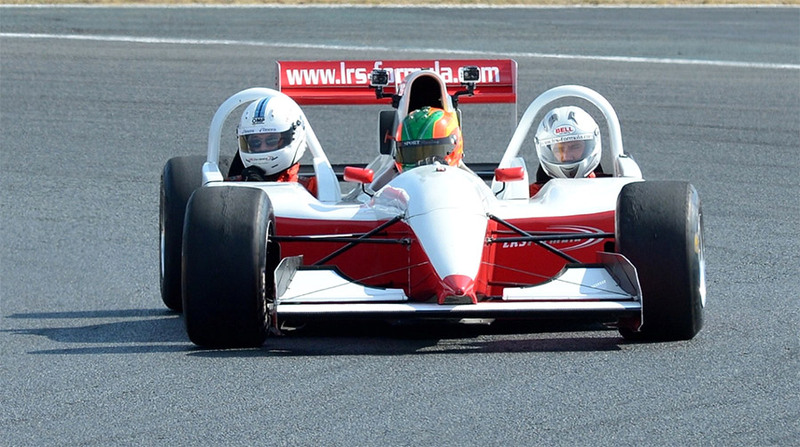 It must be a popular experience – LRS Formula runs two such cars! 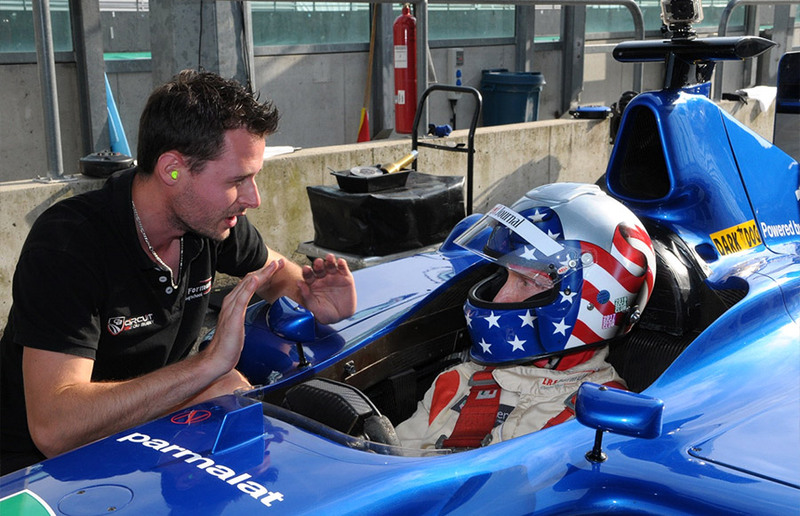 Towards the end of the day, LRS Formula arranged for Francis to get a chance to drive a different Formula One car. 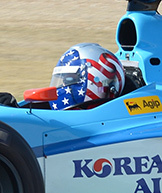 His second drive involved a 2001 Prost AP04 that ran with Ferrari power in period. In fact, it qualified fourth at Spa in the hands of Heinz-Herald Frentzen, who finished in ninth place. 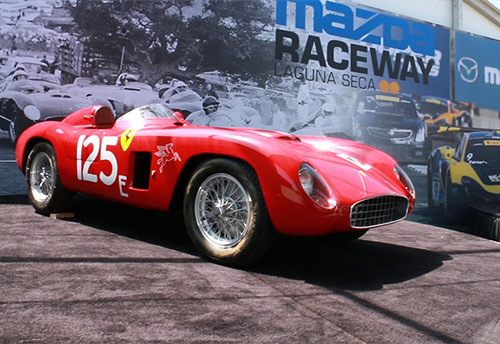 The original Ferrari engine has now been replaced with a V-10 Peugeot. 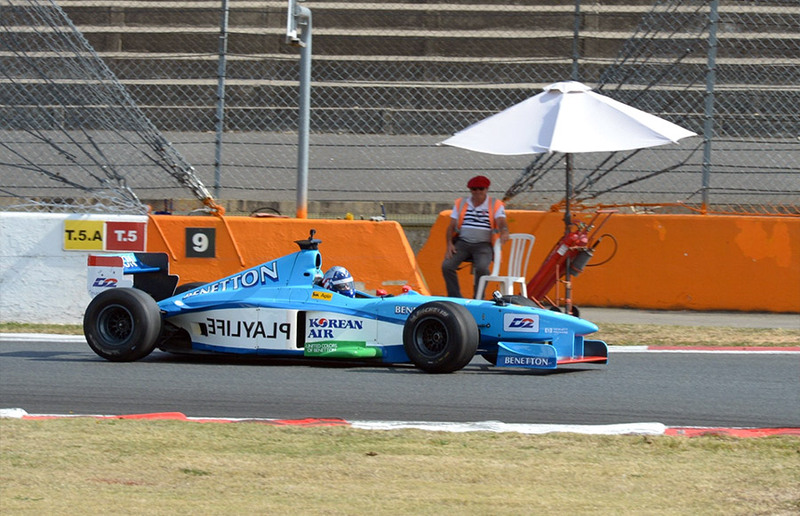 LRS Formula also has another example equipped with a V-8 Cosworth engine. Standing trackside or watching a Formula One race from home, it is hard to imagine walking that tightrope between brilliance and disaster. 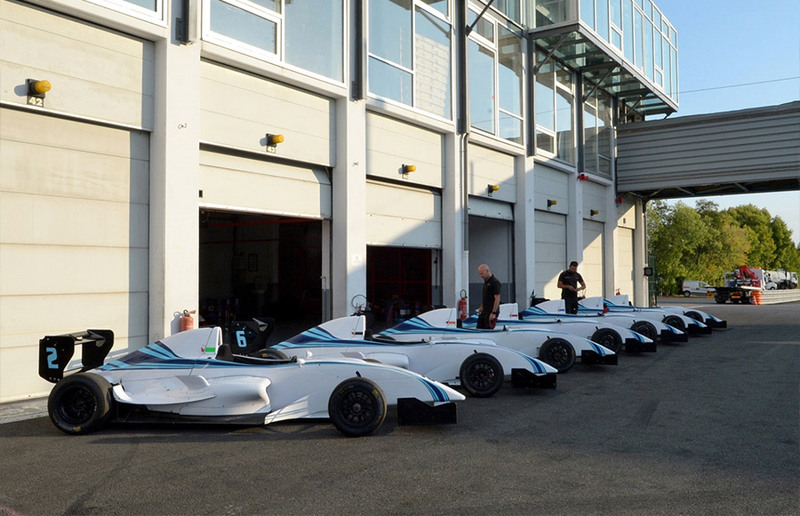 For those who can make the logistics work and travel to a little track about 160 miles south of Paris, the team at LRS Formula will get you as close as most will ever get to drive a Formula One car. The Driver’s Series scours the world to find and explore compelling driving experiences for anyone with a driver’s license and passion for speed. We send our resident driver Jeff Francis to get behind the wheel and report back to Speed Journal readers to ride along virtually or become inspired to take on the driving experiences themselves. Are you involved with a driving experience that should be featured on The Speed Journal? Do you have a driving experience suggestion for The Speed Journal to investigate? Please contact us.